Wow. Talk about a light week. 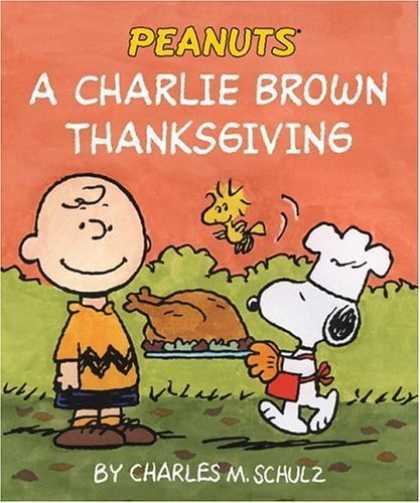 I guess the publishers are suffering from a bit of a Thanksgiving hangover. There's not a single New 52 book out today, and Marvel's got slim pickings. 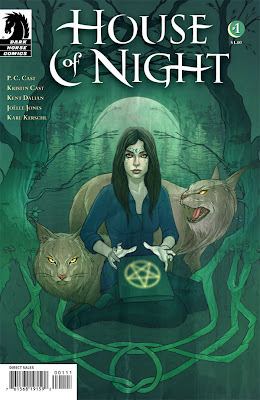 There are some Image books, but not many, and I don't have any Dark Horse titles shipping this week that I read. 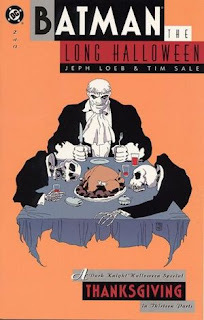 There's one independent book that I'll pick up (the excellent Gobs, by Richard Moore) and Brian Azzarello's Spaceman, issue two, but for the most part? It'll be light reading this weekend, I think. However, and this is important, today is the day that Archie meets KISS, so. Um. That's something. See. Totally not kidding. That's Archie, meeting KISS. It's a real thing and it's in comic shops today. Try not to hurt yourselves running out to buy it (Nathaniel, I'm talking mostly to you here). 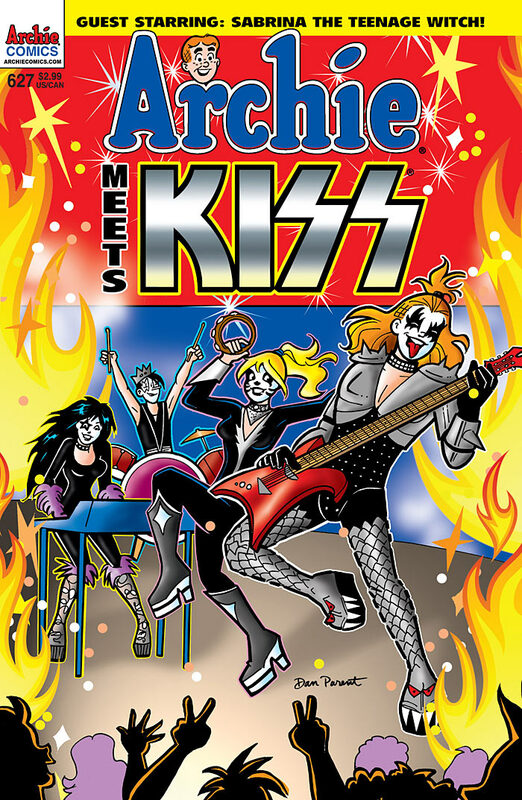 Let me just say, though, that this would have been weird 20 years ago when it would have made sense for Archie to meet KISS. Okay, fine. Maybe 30 years ago. Either way. This one's a bit of a head scratcher, but Archie has been on a major roll lately. So, because you wanted the best, here's the solicitation information from the publisher. "Archie Meets KISS Part 1: Riverdale Rock City." The biggest band in rock history invades Riverdale! When the Archies find their town overrun by monsters because of a spell gone wrong, can the KISS gang save the day? Find out in part one of this four-part epic featuring KISS! Yep. That's pretty much all you're gonna get from me today. Oh! The new Previews comes out, as well. So at least you can look at comics that you'll be able to buy, eventually. Following the reception, my wife and I rode off into the moonlight for a week-long honeycat. Not honeymoon--honeycat. We're both cat people, so we generally approve when a feline shows up when we're visiting a friend's house, watching an anime series, etc. Little did we know how much of an impact cats would have on our honeymoon. Erm, honeycat. You can apply this in your everyday life; I assure you it works. Our plan for the week was to go bed & breakfast hopping, staying at a few different locations for two nights each, and seeing whatever sights in the vicinity we cared to see. As long as everything was within a reasonable driving distance and we could spend most of our time out of big cities and away from highway traffic, we'd be happy. The first place we stayed at might actually have been run by the cats. But we'll get to that. Out in the remote hills of Pennsylvania was a small B&B in the woods. I have driven back country roads. I know back country roads. Getting to this place made me redefine "back country roads." Our rustic, artistic cabin was decorated with original tile and stained glass work crafted by the host himself. The sink in the bathroom, for example, was a colorful glass bowl with a drain in the bottom. We spent the better part of a day learning from our host how to make stained glass art, which is really not that difficult to learn...it's having the patience, planning, and skill to actually create anything that's the tricky part. The general idea is to map out your design on a piece of paper, cut various pieces of glass to the specifications you've drawn, smooth down the edges of each piece and run some metallic tape around them, and solder the pieces together. There's more to it, of course, but you probably don't want an art class from the guy who ended up with a 4-piece glass sculpture when the beginner's average is 10 pieces. Mine was supposed to have a fancy, 6-piece border. One of the pieces broke; the other two weren't fitting together properly; I hadn't even started on the tiny ones--for the sake of simply finishing, I called it quits at 4 pieces and assembled what I had. Meanwhile, my wife is channeling Charles Rennie Mackintosh and having visions of buying her own soldering iron for Christmas (which she did). 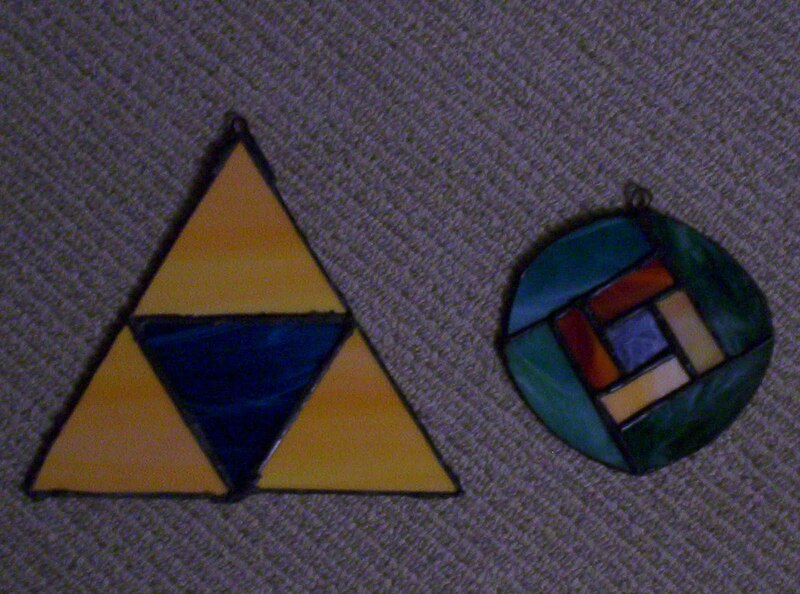 My wife is all sorts of artsy; she started off with an ambitious design and picked things up pretty quickly. I am a writer. I used to doodle in school. I've drawn a few pencil sketches here and there that've turned out pretty OK. I am all about scoring grooves into sheets of glass and snapping them in half, but I'm afraid my expertise at working with stained glass...doesn't even extend that far; I had to call for help about half the time. We weren't alone in our stained glass endeavor, however; in addition to our teacher dropping by every so often, we had no fewer than two cats come in to show us how it was done. Apparently, licking the empty lunch plate on the table is how it's done. There were cats outside, cats joining us for breakfast, and, at one point, a cat in the cottage who saw fit to sleep on my face. We are cat people, as I said, so we welcomed the extra company, except when company fell asleep on my face at 2 AM (though we still got a laugh out of that). Our already enjoyable stay at this bed & breakfast was made better by the ambient fluffy bundles of happiness, and thus the first part of the formula was born: Cat = Good. Our second B&B was in the historic part of Maryland, not too far from the part of the state that's next to the water. We ended up extending our wonderful stay by one night, and on the morning of checkout, we were escorted back to the car by a cat. Once again, Cat = Good. One of the places we visited during our time there was a used bookstore. I'm fairly confident we spent the gross national product of Kenya in the hour we were there. Our somewhat eclectic finds included The Complete Sherlock Holmes, a book of hilarious letters to and from Groucho Marx, poetry by Mary Karr, a Russian Jewry book illustrated by artist Marc Chagall and written by his wife Bella, a copy of The Phantom Tollbooth signed by the author and illustrator, a history of the Star Trek universe as told by the wisecracking Q, and a novel by Star Trek: The Next Generation actor Michael Dorn (Worf) about time-traveling samurai warriors fighting Egyptian gods. It's nice to be reading again. We moved on from Maryland to Delaware, spending a day at the Delaware Art Museum before checking in at what was originally our final B&B of the trip. Ceiling Cat works in mysterious ways, because canceling our first night in Delaware to stay an extra night in Maryland was the best decision we made all week. Our one night at the B&B in Delaware was undoubtedly the low point of our vacation--the drive there was miserable; the "historical" honeymooning couples' suite had neighbors downstairs watching loud TV; an old book cabinet containing Clive Cussler and David Baldacci novels rescued from a garage sale; plastic blinds with the price tag still on them; a huge and slightly creepy portrait of someone's grandmother staring at the bed; and worst of all, there were no cats. Hence the second part of the formula: No Cat = Bad. The third part of the formula, Fake Cat = No Cat, came from this leg of the journey as well. We figured that having dinner at a restaurant called Krazy Kat's would help salvage things. Our meal was avant-garde and exceedingly fancy--my wife and I tend to prefer simple, casual dining, but we can do avant-garde or exceedingly fancy from time to time...just not both at once. Underdressed and unable to identify half of the items on the menu, no amount of bizarre anthropomorphic cat paintings could make us comfortable enough to properly enjoy the meal. We needed a real cat. With a few more Delaware attractions on our must-see list than we could fit into one night at the Delaware B&B (which, I might add, did not serve complimentary breakfast and is therefore not a true B&B), we had decided it might be nice to stick around the area for another day or to. So, we found a B&B in a part of Pennsylvania not far away from the places we wished to visit, and settled in for two nights in the terrifying murder cottage at the edge of the property. Ha ha! I'm just joking. It wasn't actually that close to the edge of the property. No, really, it was a lovely two-story colonial home with plenty of privacy, lots of windows (with no price tags on the blinds), two full bedrooms, a spacious kitchen, a cozy living room, and really tiny hallways and tight corners that make the house seem eerily empty with just two people in it after the sun goes down. Nonetheless, our stay there was most enjoyable, and we knew we were going to have a good stay when we spotted a cat during one of our day trips, sprawled out at the entrance to a museum building with swarms of people around him, knowing full well he was the main attraction. We found no cats at the B&B; however, there was a pasture in the middle of the property. Two horses came over to the edge of the fence to greet us as we got out of the car on our last night there. I am not a horse person, but my wife seemed to enjoy their company, so we concluded that 2 Horses = 1 Cat. Thus, our formula was complete...and so is the tale (tail?) of the honeycat. As with the wedding, there are plenty of stories yet to be told. But, considering I just resorted to using the old tale/tail pun, it's probably best if I stop here. For now, at least, the wedding saga has officially come to an end. Until we meet again...I wish you many cats. First off, let me say that I hate "midseason finales." This was never a thing before. Apparently, this became a thing because of Lost. Clearly, I was right. But that's another story. Lost created the midseason finale and now all of the big, hit TV shows have to follow suit. AMC's The Walking Dead certainly falls into the category of big, hit TV show. And as such, after seven stellar episodes in their second season, the show goes on a bit of a hiatus, resuming with episode eight sometime in February. Last night's episode marked the halfway point of season two and left things off on a nice (if predictable) cliffhanger. Actually. Speaking of cliffhangers and predictability, this is probably a good time to mention that this review will contain minor SPOILERS. So if you're not caught up on the TV show and you'd like to not have some yahoo on the Internet ruin your everything, please STOP READING, as there will be minor SPOILERS AFTER THE BREAK. Okay. Now that that's out of the way. Thus far, season two has been very enjoyable. I know a lot of folks who follow the comic series are a bit irked by the fact that the show isn't necessarily staying true to the Robert Kirkman book. Personally, though, I like the fact that the series deviates from the book, because I can watch each episode and not know exactly what to expect. Otherwise, it would be just like watching the Cubs (sorry, Cubs fans...couldn't resist). I am a(n absolutely) jaded comic book fan who reads Kirkman's book when it comes out in trade. As such, I have learned two things. First, don't grow attached to any of the characters. And second, refer back to rule one at all times. Things have happened in that book that just...defy all sorts of comic conventions. It truly is the zombie fan's zombie book, and I often read it with one eye closed, turning pages slowly and not really wanting to see what happens next. Because it's usually pretty horrible. The show, to its credit, has managed to incite the same don't-want-to-look-but-have-to feelings of the book. And in today's world of post-post modern zombie flicks, that's saying something. Take the major events of this season, for example. Anyone who's read the book knew what to expect when Rick carried his wounded son to a farmhouse in the middle of nowhere. Hershel's Farm is/was a major set piece in the comic series, and it's played just as big (if not bigger) a role in the show, as the entire first half has taken place there. As a reader of the series, knowing what happens at the farm took away one big reveal. But last night's episode managed to bring to the TV series a great (read: horrifying) new twist on what was an already horrible situation in the comic. Full disclosure here--I guessed the ending about five minutes before it happened, but I still dreaded the moment that it happened. And when the moment did come? Sure, it veered from the book. But who cares? The emotional gut punch was hefty and the episode left a major cliffhanger for the second half of the season. So far I'm really enjoying season two. I just wish we didn't have to wait three months to find out what happens next. At last, I was married. All that was left was the party. And the honeymoon. And the rest of our lives. But I can see your eyes starting to gloss over, so I'll see what I can do about speeding this up. Join us tomorrow for our regular fare! ...OK, I guess I can tell you about the reception. I'll spotlight the two nerdiest points: table decorations and music selection (incidentally, my favorite parts of the planning process). 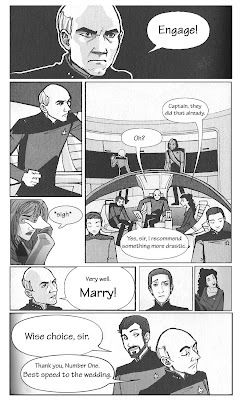 This is the part where everyone starts to think we had a Star Trek-themed wedding. While the invitations, my cufflinks, the medley of theme songs that played during one of the party games, the guest list indicating table assignments (with bogus invitees such as Roger Wilco from Space Quest and Jek Porkins from Star Wars), and the table markers were all clearly Star Trek-related, we weren't deliberately putting together a theme; it just happened that a bunch of our ideas were drawn from the same fandom. We had wanted our table markers to be a little more creative than large-fonted numbers, and two pairs of my fellow GameCola staff members had already used some great ideas for their weddings that I didn't want to steal. (Well, I did, but I wasn't gonna.) So, after some brainstorming, the idea my bride-to-be and I liked best was to name each table after a class of starship. Her plan was to make cutouts of various starships to put on the tables. 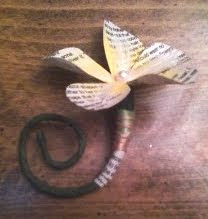 I reminded her that she had flowers to make, and the wedding was three days away. We went with my plan instead: laminated paper with a different image of the chosen class of starship on each side, in the style of an LCARS computer display. All table markers could easily double as placemats or posters for whichever guests brought them home. The classes we chose were partially limited by the size and quality of the images we could find--I value consistency, you know. Per my wife-to-be's request, the head table was a Klingon Bird of Prey; the other tables were Starfleet ships, including Constitution, Constellation, Miranda, Akira, Defiant, Steamrunner, Nebula, and Oberth classes. Our DJ was captain of an Intrepid-class turntable, and the table near the door was prepared to hold a Galaxy of gifts. We had a rationale for most of our table assignments, but the one that caused the most ruckus was seating part of my wife's family at the Oberth table, directly next to our Bird of Prey table. "We're supposed to be the unarmed science vessel that gets blown up by Klingons in Star Trek III!?" was the outcry, to which my wife responded, "But you're my family! This is the table O'(my)birth!" I think you can guess which table marker wasn't taken home by any of the guests. As for the music, we spent a good long time assembling a playlist for the reception. Our DJ provided us with a website where we could log in and add any songs we liked to our playlist, categorizing them as "Must Play," "Play if Possible," and "Do Not Play." My gal went in there first and populated the list with around 150 of the maximum of 300 songs the system would allow. I then filled up most of the rest of the list with songs I have saved on my home computer and from my Pandora playlists, urging my wife-to-be to shift at least a few of her requests to "Play if Possible" so that I might actually have a shot at getting any of my music played at the reception. About a week before the wedding, our DJ informed us that we had requested over 10 hours of must-play music for our 4-hour reception. After some extensive calculations, I determined that this would preclude the possibility of anything getting played from our additional 10 hours of "Play if Possible" music. The songs that did end up on the reception playlist offered a glimpse into just how eclectic our tastes in music are, and we were both very pleased with how it turned out. Some songs of possible interest include several video game tunes from OverClocked Remix, the original "Mah Nà Mah Nà" song on which the Muppets' famous sketch is based, the infamous "Numa Numa" song, Rocky Horror's "Time Warp," the Marrymore town theme from Super Mario RPG, and a few Japanese artists (Gackt and Marbell come to mind). The bride and groom entered to Lucca's theme from Chrono Trigger, and we closed off the evening with Europe's "The Final Countdown." The rest of the playlist consisted largely of occasionally mainstream 70's and 80's music, with sprinkles of 90's, Irish folk music, and etc. thrown in for good measure. So there you have it: music and table decorations. Thus, the wedding story is complete. Well, as complete as is relevant to this blog. For now, anyhow. Alright, so there's more to tell, but some stories are better suited to being told in person, and some stories are better suited for friends and family than every single person on the entire Internet. Hello, every single person on the entire Internet. Thanks for stopping by. The last part of the saga is the honeymoon--or, as we've started calling it, the honeycat. If you can stomach just a little more marital bliss, find out how felines directly affected the outcome of our honeymoon in Part 7. With the icebreaker questions ready, and everything else in place for the wedding (as far as I was involved, anyhow), there was nothing left to do but strap myself in and go along for the ride. Specifically, the ride to the church for our rehearsal, and then the ride to the restaurant for the rehearsal dinner, and then the ride back to the hotel for the botulism party. The rehearsal was everything you might expect from a rehearsal attended by anyone who might want to associate themselves with goofball like me, with the highlight being where I was asked if I would take this woman to be my awfully wedded wife, and I replied, "I guess..."
Evidently she still loved me enough to marry me the next day, but we'll get to that. Following the rehearsal was the celebratory dinner for all involved in the rehearsing, during which friends and family made eloquent, heartfelt, often-humorous speeches about us. Most speeches about me involved Mega Man. One groomsman even supplied a brief musical interlude hummed to the tune of the first Dr. Wily stage from Mega Man 2 before segueing into his speech. For the record, I do talk about more than Mega Man. There's also Star Trek. But we'll get to that. Now, as a writer and former theater guy, I've got no problem getting up in front of people and making speeches. The trouble was, my ability to focus and string together cogent sentences had been slowly degrading since showing up in town at 3:30 AM the day before the wedding. It was a combination of fatigue, excitement, and deeply internalized wedding jitters that I was either unwilling or unable to acknowledge. I had been handing off responsibilities more and more to the people around me, and at the zenith of my "just tell me what to do and where to go" mentality, it was time for me to take matters into my own mouth and make a speech. From where I was standing, whatever I said didn't do my groomsmen justice. The sentiment was there, but the wording wasn't. Or maybe it was, and I was too fatigued, excited, and jittery to recognize it. If we're talking in terms of Dungeons & Dragons, I've put a good many ranks into my speaking-related skills on my rise to becoming an epic-level commoner, and the night before the wedding, I was rolling the dice without looking at them. I suppose eloquence is in the eye of the beholder, and while I didn't turn to stone, it's entirely possible I was partially disintegrated. I really couldn't tell. What I had hoped to convey was how much it meant to me to have my two best buddies from high school, my brother-in-law, and half the writing staff of this blog (read: Alex) as my groomsmen, and as my friends. The gift I gave each of them was a pocketwatch, hand-picked according to their individual styles and personalities from a list of about 500. I then proceeded to throw knives at them. After the food and the speeches came the violent part of the evening. I knew that a bachelor party had been planned by one or more of my groomsmen, but I had not been privy to any discussions about what it would entail or who would be involved. My friends know me well, because instead of a big, loud, potentially disastrous party, we sat down in a hotel room and started firing off rockets. One of the guys was staying in what must have been the largest room in the hotel--two stories, with a living room on the first floor and the sleeping area lofted up on the second, overlooking the living room. I wasn't even aware hotels had rooms like that. After a brief moment of taking in the scope of the room, my eyes settled on the projector screen that had been set up against the wall. And the root beer and ice cream on the table. And the projector with the N64 hooked up to it. And the GameCube and NES and piles of games. I would spend my last night on Earth as a bachelor playing video games with my friends. I could think of nothing more fitting. After several rounds of GoldenEye, Perfect Dark, Mario Kart 64, and root beer floats, I was exactly where I needed to be: relaxed, focused, and jitter-free. Enjoying a quiet (though appropriately rowdy) evening of launching grenades and turtle shells at your friends has a way of letting loose any pent-up...anything. I had enjoyed the opportunity to get together with a large group of friends and family for the rehearsal and the dinner, and I was looking forward to seeing everyone at the reception, but a small get-together with just a few people proved to be what I needed most that evening. The following morning, I ate a bagel. I think that was the biggest part of my day. Well, and the part where I FINALLY GOT MARRIED. Per my wife-to-be's request, I dressed in tails (the traditional English morning suit, as I'm told), sporting the Star Trek delta shield cufflinks she bought me for the occasion. My bride, my lovely, gorgeous cupcake, came to the altar as a cake topper. She even described herself as such, so I'm not getting smacked for this paragraph. 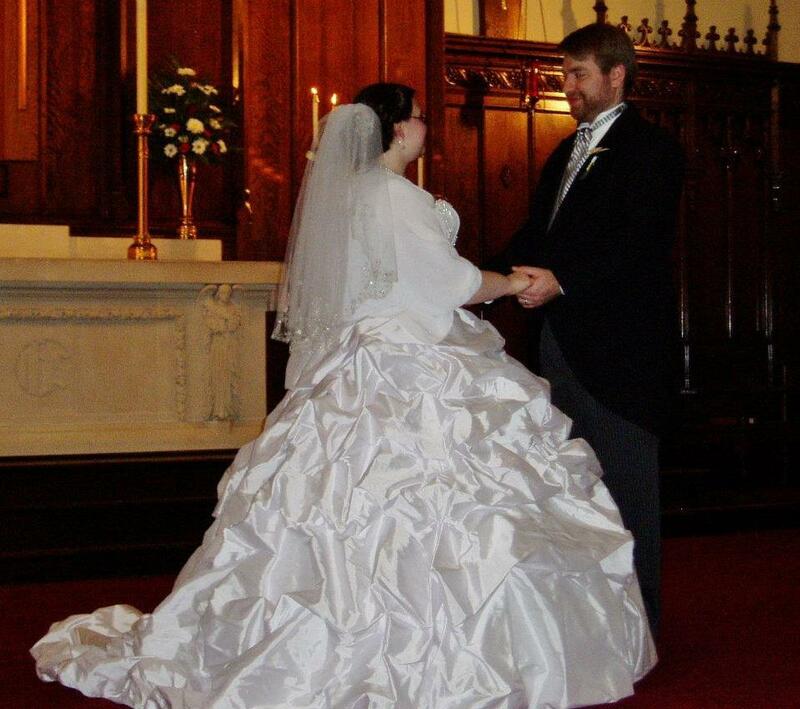 Her dress was 6 feet in diameter--large enough to use as modest shelter on a camping trip--and when I was told I may kiss the bride, the first thought through my mind was, "how!?" Still, it worked. The wedding went off without a hitch, except for the part where we got hitched. There may also have been some small (and major) glitches during the day, but if I don't acknowledge them, it's like they never happened. No nerves; no one speaking now instead of forever holding their peace; no cursed pirate ring turning my bride into a gold statue. We had a traditional ceremony both led and attended by family and friends, followed by some picture-taking with the photographers, followed by our dorktastic wedding reception. As far as I was involved, anyhow, it was wonderful. But we'll get to that in Part 6. 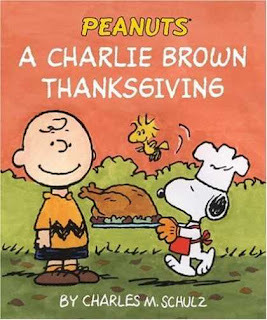 Happy Day After Thanksgiving, everyone! Post Turkey Day blues getting you down? Well, go buy some art! Original comic book art, that is. No idea what I'm talking about? Remember last week, when I mentioned that I would be selling artwork for a friend? Well, I've finally managed to upload the first half of the first wave of art. You can check out the pieces for sale right here on Comic Art Fans, and if you're interested in anything, please just send me an email through the Comic Art Fans website. There will be more pieces uploaded in the next couple of days, so keep an eye out! Well, we're gonna go the corny, expected route with today's post. We here at Exfanding Your Horizons are thankful for a lot of things. But at the top of that list is you. We are incredibly thankful for every single reader we have. You guys make sitting down to write for this blog fun and meaningful, and we can't thank you enough for that. 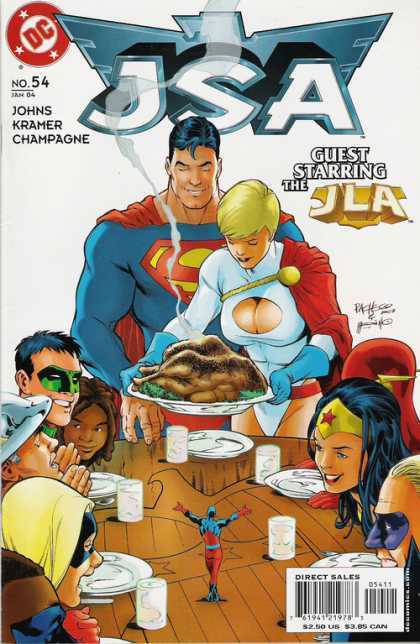 We can, however, post up some Thanksgiving comic book covers. Because we love you. Oh, also. Nathaniel mentioned something about a hilarious Earthbound YouTube video. Since I have no idea what that is, I've simply tacked the video on to the end of this post. As my friends, family, and fiancée assembled the favors for our wedding, I worked on slicing up strips of paper bearing icebreaker questions for each table at the reception. Though this post is technically Part 4 of my wedding saga, it functions well as a standalone post because the list of questions is so extensive that I simply can't justify adding it anywhere else. Below is the full list of icebreaker questions and statements intended to bring out the more creative, thoughtful, and geeky sides of our wedding reception guests. Feel free to use these for any of your non-profit needs (though I'm happy to accept a cut of the profits if you use them any other way). Name three things that people would need to be familiar with to understand you. What’s one question you wish people would ask you more? What’s the coolest/funniest t-shirt or movie poster design you’ve ever seen? Name one of the most memorable advertisements you’ve ever seen or heard. What’s the most elaborate party or celebration you’ve ever attended/hosted? Name one of the most ridiculous luxury items you’ve ever seen. Name one of your favorite costumes you’ve ever worn. Tell us a story about one of the worst restaurant experiences you’ve ever had. Are there any fictional villains you love to hate? Baddies so evil they’re awesome. Has anything ever made you laugh so hard you couldn’t stop? What’s the most impressive feat of skill or strength you’ve ever seen in real life? Describe one mind-blowing action sequence from a work of fiction you know. Name one fact you’ve learned that completely changed your perception of reality. List a few of the most absurd or unfortunate product names you’ve ever heard. List one or two bizarre or impractical household inventions that actually exist. Tell us about the best pair of shoes/slippers/boots/sandals/etc. you’ve ever owned. What’s one word or phrase you use frequently that you picked up from someone else? If you could’ve been born in any other time period, when would you have liked? What’s the most drastic thing you’ve ever done to try to win someone’s affection? Got any favorite plays or musicals? The crafty Croctopus corners his crock of collectables in Coral Capers. What’s the most pointless argument you’ve ever been involved in? Name one sequel or prequel you’ve always wanted to see released? Name something popular whose popularity you completely don’t understand. What’s your favorite decade of music, and why? Are there any technologies you wish had never been invented? Got a favorite fast food joint? List a few of the most obscure ice cream flavors you’ve ever heard of. If you could have any law immediately put into effect, what would it be? What’s your favorite memory of playing a card or board game? Describe the most unusual food you’ve ever eaten. Identify one word that ought to be stricken from the English language. Is there anything you loved to do when you were younger that you can’t stand now? What sci-fi technology would you be most excited to have in real life? Ever seen any live concerts? Name one achievement you’re proud of that others might raise an eyebrow at. Tell us a story about a hilarious/embarrassing case of mistaken identity. Which do you prefer: remakes or reboots? Name one thing you inevitably expose someone to if they hang around long enough. Describe the hardest or most unfair game you’ve ever played. Name something outrageously expensive you regret paying for. What’s the most clever surprise you’ve ever pulled off? What’s the longest you’ve ever stayed awake? Has there ever been a movie or performance you walked out on? What’s your favorite chewing gum? Name two fictional characters who would make dysfunctional college roommates. What’s one major life decision you’ve made that you would never change? Do you listen to any music that might surprise people who know you? Have you ever competed in a competition or a tournament? When was the last time you wrote a letter? Like, a letter. What’s better to have: brothers, sisters, both, or neither? If someone made a documentary of your life, who (living or dead) should narrate? Name something you took for granted until you left your home/town/state/country. What’s the last work of fiction that provoked a strong emotional reaction from you? If you were a superhero, what superpower would you most want to have? Name a type of clothing/material you’ve worn before that bothers you. If you could do one thing with no negative consequences, what would it be? What’s the worst facial hair or hairstyle you’ve ever worn? Talk about something you’ve read that was unexpectedly thought-provoking. You’re a fictional hero—what’s your weapon of choice? What’s the creepiest idea for a pet you’ve ever heard of? Name one dessert so good it might make a spouse jealous. List a few words or phrases that would make awesome band names. What’s one thing you’re curious to know about someone nearby? What physical feature or characteristic would you love to have naturally? Do you know any other languages or dialects than the one you’re using now? In combat situations, fictional or real, what role do you most often play? Are there any songs that frequently get stuck in your head? What’s one type of accessory or clothing that is clearly characteristic of your style? What specific dance or style of dance do you enjoy most? Did you have a favorite childhood breakfast food? What’s the ugliest animal you’ve ever seen? Stick around; I finally get married in Part 5. We had run out of time to finish the wedding favors at home, and our chances of assembling everything onsite didn't seem so good: we had loads to do, and only a few hours before everything for the reception--including the favors--had to be handed over to the restaurant. This called for minions. I call you a minion lovingly, Mom. I rounded up a small posse comprised of family members, wedding party representatives, and my bride-to-be, and set them to work on putting together the favors. In the meantime, I sat at a desk and...sliced. As much fun as it would be to say that we stuffed our wedding favors with deli-style turkey and ham (which would have delighted my vegetarian future-wife, no doubt), I found myself slicing up mass quantities of paper. After much deliberation over what, exactly, to put into a hundred little blue plastic containers as wedding favors, I decided a sort of board game would work quite well. After a fair amount of playing around with the concept and format, I had settled on a game (with some input and inspiration from my gal) that could easily be mass-produced, cut out, and rolled up to fit inside the containers. The original plan was to have a board game with a title such as, "Race to the Wedding," in which players would progress along a set path toward the goal of their wedding, landing on spaces along the way that sent them forward for being good wedding planners and backwards for being total schluffoffs. Practicality put the kibosh on that plan, however, because what I had in mind would require a much larger playing area than we could reasonably mass-produce and fit into our fist-sized containers. The final product ended up being an untitled game that fit onto two quarter-page strips of paper, with instructions on the back, and a game board on the front of one and a scorecard on the front of the other. Accompanying the two strips of paper in each favor container were a tiny 6-sided die and two rolls of Smarties candy, which make excellent edible game pieces (and were my favorite candy growing up). Oh, yeah. We had a wicked-efficient assembly line going for these babies. INTRODUCTION: You’ve got ten months to plan your wedding! Can you make all the arrangements you want and keep up with your everyday responsibilities without losing your sanity? Probably not, but let’s try anyhow. PLAYERS: One or more. Ideally, players (couples) will form teams of two and advance jointly on the same scorecard. SETUP: Place one token (Smarties will do nicely) on the game board for each player—guys start on HIS; girls start on HERS. Place a score marker (again, Smarties) on the first circle of each category on the score card, for a total of nine score markers. GAMEPLAY: Players take turns rolling a die and advancing that many spaces around the game board. Players may move up, down, left, or right to any adjacent space, but may not backtrack over any space they have moved through this turn. HIS and HERS spaces are off-limits after leaving them. If you enter the WEDDING! space, you must remain until death do you part. ENDGAME: Game ends after ten turns or when all players have entered the WEDDING! space. SCORING: At the end of the game, add up the numbers in each of the circles on your scorecard that are currently occupied by a score marker. This number is your Grand Total. Cherish these points forever and always. Now, put them aside for a moment. Compare your number of Wedding points against the total points from all other categories. If the difference between them is 3 or less, you’ve successfully kept your life in balance while planning your wedding, and may add 5 bonus points to your Grand Total. Then, add the number of turns remaining when you entered the WEDDING! space (got married). If you did not enter the WEDDING! space before the end of the game, lose 10 points—you missed your own wedding, you goober! The person with the most points (biggest Grand Total) wins. ADDENDUM: All players must then tell made-up stories about their wedding planning process and how their wedding turned out based on their points in each category. Note the wonky progression (and regression) of point values—I’m sure you can find a good non-gameplay-related explanation for everything. I’d love to tell you my rationale, but I’ve run out of space here, so…bye. I playtested the game once and am relieved to report that it actually works, which is impressive considering I came up with the idea and cranked out a finished product in a single evening. Whether or not it's fun is a different question entirely, but I'm hopeful that somebody enjoyed or will eventually enjoy it. Slicing up the game boards and scorecards took some time, but the next bit of slicing is where I completely miscalculated how much work would be required, and had to hand things off to someone else. My wife-to-be and I had collaborated on a list of icebreaker questions that would appear on individual strips of paper (good, hearty card stock, specifically), and each table at the reception was to have a cup filled with these question strips. I figured there'd be a fair number of total strangers sitting together, and this would also be another fun thing for people to bring home with them if they didn't care for the favors or the centerpieces. Ten tables. Four pages of questions per table. Twenty-one questions per page. Mr. Calculator tells me that's 840 strips to cut out, and I don't care to do any further math to estimate exactly how long it would have taken if we had gotten through the whole process. Eventually we had to give up on four pages of questions per cup, and just threw together handfuls of however much we were able to slice. For the complete list of questions, come back tomorrow for Part 4. Yes, yes. I know you're all dying to hear the rest of Nathaniel's Wedding Story, but unfortunately he's on the road this weekend (I think he said something about joining a street gang made up entirely of Muppets, which I thought was both cool and a little weird). So in the meantime, you're gonna have to settle for me today. Sorry, gang. Fear not, though, because I have something so fantastic planned for today that your heads are going to explode. Okay, fine. I don't have that at all. But what I do have is something pretty cool, I think. I find things like this to be endlessly fascinating. From Flavorwire, here's a sampling of the 10 harshest rejection letters received by some pretty major literary names. While some are certainly more brutal than others, these documents go a long way in proving that editors isn't infallible. Um. Aren't. Editors aren't infallible. Anyway, check it out but be warned that the Hunter S. Thompson entry is a bit...blue. And to all you writers out there who know that pang of rejection? Take some solace in the fact that a great many editors are, simply, morons. I can say these things because I am one. Hopefully just an editor, though, and not a moron. I'll let you decide. Apparently, I'm now an original art dealer. Yep. Just like that, Yours Truly is a seller of (only the finest) original comic book art. And, no, before you start worrying about my own financial state, I'm not selling pieces that I own. Instead, I'm helping a friend sell off some of his (staggeringly incredible) collection of art. He simply has too many things, and needs to clear out the old portfolio. And he's asked me to help. Which is both exciting and a little depressing. Exciting because, really, we all know that I live vicariously through comic book shop owners and this is (kind of) a step in that direction. Depressing because I literally want to buy every piece that I'm meant to sell. Not kidding here, folks, this collection--entirely of Batman art--is amazing and some of the pieces that are now in my (temporary) possession are quite stunning. 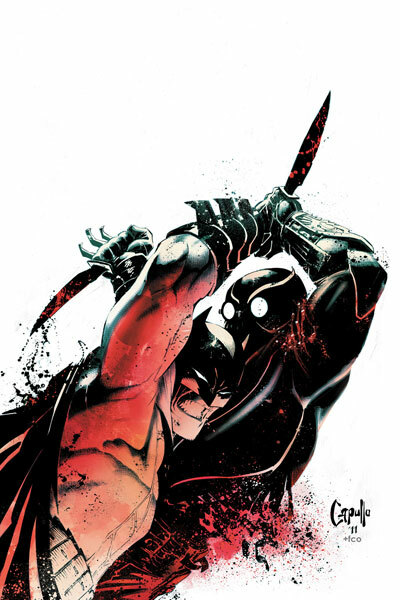 Full body commissions by some of the biggest names in comics, covers to major Batman books, interiors from some of the best stories ever written. It's all here. In the coming weeks, I'll post a link to where the pages are to be sold. They're not going to be cheap, but it'll still be worth taking a look at for the sheer...awesomeness...of the art. For my part, I'm now doing some "market research" and trying to figure out what similar pages and commissions have sold for in the past. I put "market research" in quotes because I don't really consider it research at all. It's just plain fun for me. Plus, the market shifts on a daily basis. But I've been collecting this stuff (and following it obsessively online) long enough to have a pretty good grasp of the values of these things. So wish me luck, Exfanders, and stay tuned for updates. The invitations had been sent. The church was booked for the ceremony. The restaurant was booked for the reception. If we were to do no further planning, or if all our further planning were to fall apart, we would at least have a wedding. Yet my bride-to-be and I had strong leanings about what traditions should be incorporated or left out, what the music selection should be, and what we should do for favors and table decorations. Anyone who's been within five parsecs of an engaged couple probably has a good idea of how taxing and time-consuming the planning process can be, but there's an added challenge when the planning involves creating almost everything yourself. That is not to say that we built the church, sewed the dresses, cooked the food, constructed an android wait staff, etc. All I'm getting at is that, after the basics were in place, virtually all the personal touches we planned required direct involvement from us. My now-wife is an avid reader and an artsy/crafty little kitten who had decided that we could do without a bill from the florist. Instead of professional flowers for the bouquets and boutonnieres (two difficult French-derived words I hope never to spell again), she decided she would make all the flowers herself. Well, that only took around 15-20 hours over the course of about three weeks. However, we both agree the finished products were worth it. 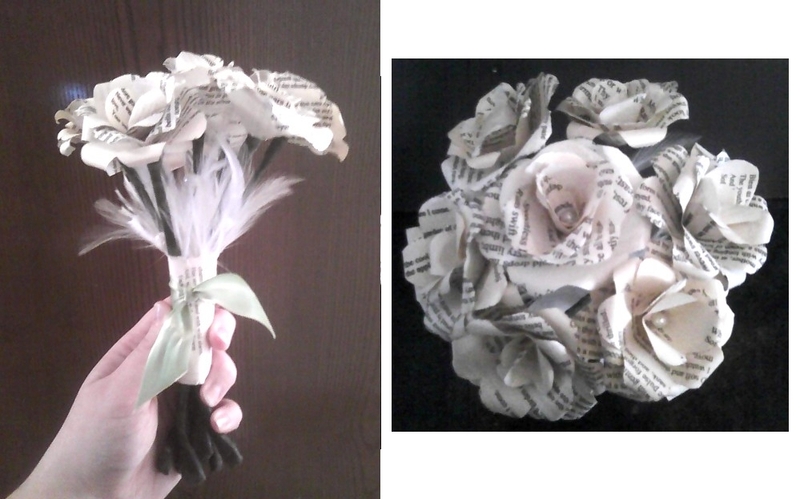 Using blank pages pulled from the back of various books (an acceptable sacrilege, in this case), my gal printed up poems by her favorite poets and fashioned them into a different type of flower for each bridesmaid. The poems selected were from Dante, Mary Karr, John Donne, and Sappho, all reflecting different kinds of love--courtly, hopeful, metaphysical, and sensual, respectively. 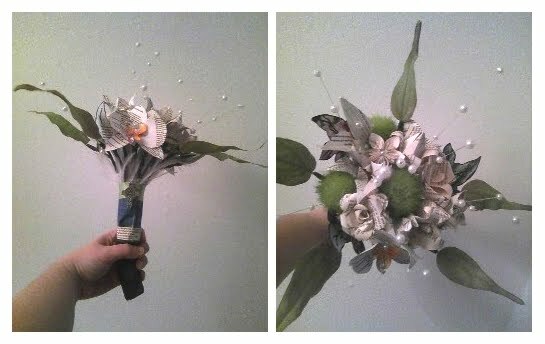 Groomsmen would eventually be decked out with flowers matching those of the bridesmaids with whom they were paired up. ...hang on--I need a new paragraph for this next part. But first, another picture. As for the bride, she assembled a collection of flowers (I'm resisting the use of the word "bouquet" here) using the styles given to her bridesmaids and myself, as well as ivy leaves--which are the Celtic symbol of fidelity--adorned with the Three Friends of Winter (bamboo, and...um...fig leaves?). And echinacea, which is not a Friend of Winter, but we can pretend it is because I'm drowning in wonderful symbolism. Wrapped around the stem was her family's tartan, and a poem for W.B. Yeats' daughter (I am mostly confident she is not W.B. Yeats' daughter), plus a Celtic cross. 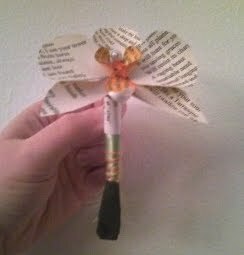 I got a paper flower. Actually, it was a lovely orchid (my favorite flower, and the subject of a popular vintage guest post). 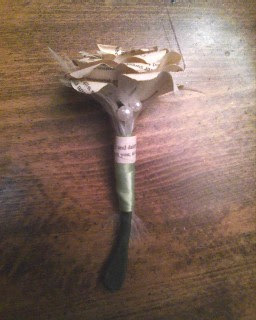 My bride and I have been poets of a sort for some time, so my flower included poems from her such as, "My Love for You Is Like a Tarrasque," and the orchids in her collection sported my poetry from as far back as high school (my poetic heyday, if you can believe it). While she was busy folding flowers and generally keeping the machinery of the wednaught in motion, I was hard at work playing Konami games. About three or four days out from the wedding, it occurred to me that we'd need table decorations and labels for our party favors. Also, party favors. We basically had a hundred little plastic pog containers filled with air. Factory-sealed air, mind you; we're no cheapskates. There was a mad scramble to transform all these creative ideas that had been sitting around for weeks or months into something tangible. After a few evenings of (mostly enjoyable) toil and a number of visits and phone calls to the copy center at our local Staples, I had in hand nearly a dozen laminated table markers, a label for every party favor container, goodies to stuff into the containers, and fun little icebreaker question strips to put out on the tables. Sample question: "List a few of the most obscure ice cream flavors you’ve ever heard of." Okay, so that's not technically a question. We had yet to cut out the icebreakers (10 copies each of 84 questions printed across 4 pages), stuff the favors (of which there were 100), and apply the labels to the containers. Fortunately, there was more than enough time to do all this. We would just have to skip the wedding to make it happen. Furthermore, our week-long honeymoon was to begin immediately following the wedding, which was being held in another state entirely, so at one point we'd have to stop working on the wedding and start packing for the honeymoon. We simply ran out of time. We left in a rush in the middle of the night, arriving in town at 3:30 in the morning on the day before the wedding, to ensure we could meet with her family for breakfast and my family for lunch as planned. We brought with us bags and boxes of supplies that would allow us to start on the icebreakers and favors. We had our wedding rehearsal and a meeting with the restaurant that night, leaving us with about two hours to do something like eight hours of work. I impress my friends and family into indentured servitude next time, in Part 3. Apparently next week is Thanksgiving. This fact is one that has snuck up on me to an alarming extent. You see, quite a few of my deadlines at work hover around the Thanksgiving/Christmas holidays, and since said holidays are nearly upon us...well, I have a lot of work to do. To finish, I mean. I have a lot of work to finish. Which is different than simply having a lot of work, and in many ways (read: all ways) much, much worse. Working in publishing means deadlines are a daily beast and one gets used to them breathing down one's neck after a while. So I have no doubt that everything will get done--it always does (somehow). It's just a bit depressing to think of everything that has to happen in order for everything to get done, and to think of how quickly those things need to happen. Going down my list for the coming weeks and months ahead is kind of like staring out at the ocean and looking for land on the other side. You'll get there (hopefully) at some point, but it's going to be a bumpy, pirate-filled ride. Clumsy analogies aside, I think it's time to get into this week's comics. I have two today I'd like to talk about and unsurprisingly, they're both from DC. Being that we're now in the middle of November, I think it's safe to say that DC wins my vote for publisher of the year. Their New 52 relaunch has been both a critical success and it's won the company their biggest market share in a decade as they have pulled ahead of Mighty Marvel in the Big Two Arms Race. On the whole, these books are good. Solid series with solid creative teams telling good stories. 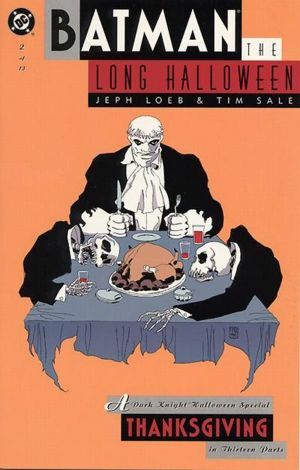 There are, of course, books that stand out from the rest--Swamp Thing and Animal Man come immediately to mind. But the two books I'm most enjoying as part of the relaunch are Scott Snyder and Greg Capullo's Batman and Brian Azzarello and Cliff Chiang's Wonder Woman. These books are exceptional super hero stories, and they are a big part of DC's recent success. I've looked forward to each issue, and I will definitely be picking up the hardcovers for both series when the first arcs wrap up. 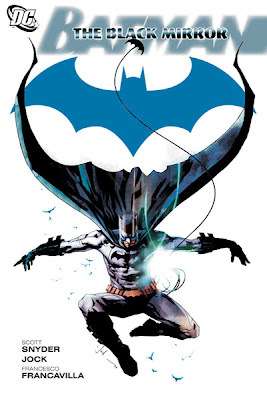 Snyder's Batman takes readers back to the Bruce Wayne as detective of days past, and a return to the character's roots is certainly refreshing. If you'd like to catch up, you should be able to find copies of issues one and two in your shops (get the later printings for cover price). Moving on, Wonder Woman, issue three, ships today as well. Wonder Woman has been a hit and miss character, with many more misses than hits unfortunately. 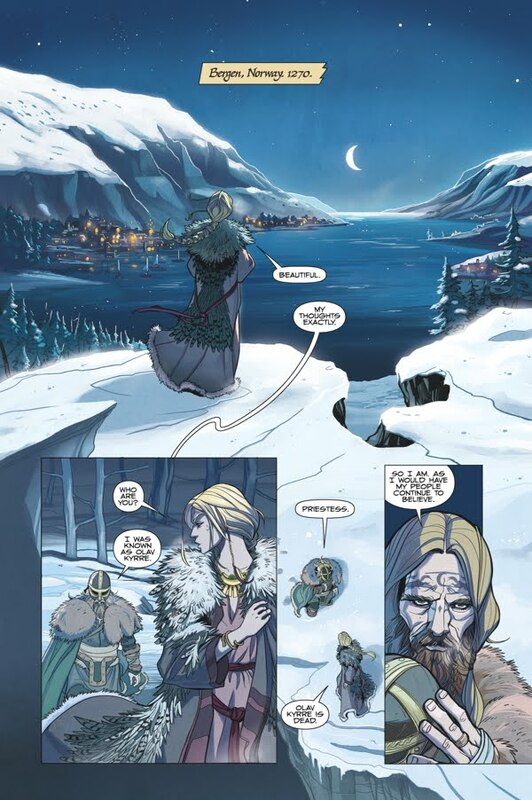 This latest series shakes things up a bit and returns Diana to her mythical roots. This book is on top of everyone's read pile, and for good reason. Azzarello's writing is fast-paced and thought provoking, and Chiang's take on Wonder Woman is spot on. Hippolyta, the queen of the Amazons, has kept a secret from her daughter all her life – and when it's revealed, Wonder Woman's life will shatter like brittle clay. The only one more shocked than Diana by this revelation? 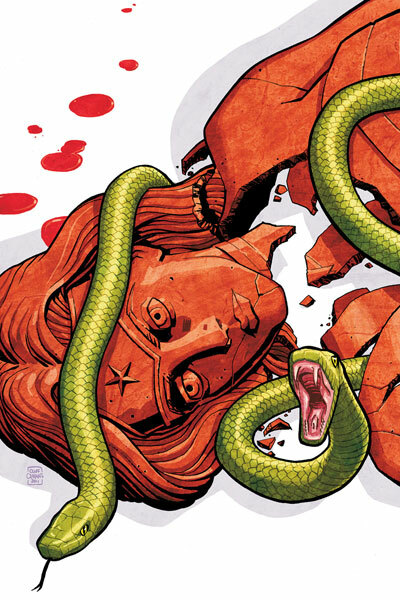 Bloodthirsty Hera herself – so why is her sinister daughter, Strife, so eager for the truth to be told? As with Batman, you can find later printings of issues one and two readily available to catch up on the story. And at $2.99 an issue, the price is most definitely right. So that's what I'm reading. What about you? What are you Waiting for? I dated a nerdy girl, made a nerdy proposal to her, and got married with enough nerdy touches to keep the geeky side of our personalities visible without overtaking the traditions of the ceremony itself. We're both creative sorts, and relished (and occasionally cursed) all the opportunities we had to inject our crafty, dorky ideas into the wedding and reception, generally at the last minute. Oh, we're just getting started. The story continues (or, rather, begins) later this week in Part 2. Today's post is just a warning, of sorts, that my future posts are quite likely to take a more...random...turn. For you see I now have the capability to blog from my phone. Which means that I'll literally post about anything that pops into my mind, at any random moment in this Life of Alex. You know, like when I'm waiting in the car on the drive-through ATM line. Or when I'm sitting in the Chinese restaurant, waiting for my take-out order. Or when I'm watching the original Amityville Horror and I find myself wondering how James Brolin gets his beard so even. Or how much Brolin looks like Christian Bale. And then I start wondering about why I'm wondering about James Brolin's beard from 1979 and...well, you see what I mean about the random. And I'm also willing to bet that you see what I mean about this being a warning of things to come. Hang tight, Exfanders. Things are about to get a little weird. I do not like the number 11. I've had...past experiences with the number, you see, and I've learned to both fear and respect its power. Allow me to explain. Back in my college baseball days, I had a long and hilarious string of very painful injuries. I've talked about them a bit on the blog, but just to recap. Over the course of just about three years, I managed to tear my labrum in my throwing shoulder, I sprained my ankle and ended up in a knee-length cast on my left leg, and to round things out, I broke my jaw. Oh, wait. And then I re-tore my labrum. Almost forgot about that. According to more than a couple teammates, friends, and family members, at least some of that bad juju had to do with my donning of the number 11 while I played. You see, numbers are very important to baseball players. Before college, I'd always worn either 15 or 25--15 because of Yankees catcher Thurman Munson and 25 because the numbers added up to 7, which was Mickey Mantle's number. When my dad was growing up, Mickey Mantle was his favorite player. Like I said, numbers are important to baseball players. Both numbers--15 and 25--had done right by me, and I felt comfortable wearing them. Comfort is another big thing with baseball players. Many of the guys I played with had little routines, either before the game or during, to help make them feel comfortable. Small things like wearing a certain t-shirt under a jersey, or always tying the right cleat before the left cleat. Baseball players are also quite superstitious. And as such, many baseball players don't believe in coincidence. In my book, if it happens more than once, it's not a coincidence. There are no coincidences. Only good luck, bad luck, and curses. For me, number 11 is cursed. For me, number 11 is most certainly bad luck. So today--on this 11th day of the 11th month in the year 2011 at 11:00, no less--I'm going to tread lightly...and possibly wear a helmet. Also, just to be clear--there are spoilers in here about both John Carpenter's original film and the Rob Zombie remake, so if you haven't seen one of them, please tread lightly. So I watched Rob Zombie's reboot of Halloween. Keep in mind here that the original Halloween is one of my favorite films of all time, and it's certainly my favorite horror film of all time. As I mentioned, I'm a fan of Zombie's style, and his Halloween just...well, it just looks great. Really a killer (haha) cinematic look to the film. And while that fact is in itself the complete antithesis to the original, I liked that this looked polished and expensive and new. Because it separated the two films right off the bat--Zombie's Halloween is not Carpenter's Halloween, and while Zombie certainly pays homage to Carpenter (and co-writer Debra Hill), Zombie manages to make his reboot something completely different and new. There are moments in the reboot where I wish the director had gone a different route--I prefer subtle horror rather than the kind of horror that (quite literally) mashes you over the head with extreme situations--but one cannot deny that Zombie has delivered a new and interesting Halloween for a fan base that has seen some clunkers in the years since Carpenter's original. The best choice that Zombie makes in this new version is the different take on the series' most beloved character, Dr. Sam Loomis. Played here by Malcolm McDowell, we see Loomis in a new light. McDowell's Loomis almost struts around, proud and cocky, and is in direct opposition to Donald Pleasence's classic portrayal of the character. While Pleasence plays Loomis as a man haunted by his failure to connect with a young Michael Myers and possessed by his singular mission of catching the adult Michael Myers, McDowell's doctor has some ulterior motives. Yes, he is utterly concerned for Michael's well being and Loomis does all he can to help the (world's most) disturbed child. But this new Loomis has also written a book about his time with Michael, an act that adds in a bit of a wrinkle to the unwavering goodness that is Loomis in the early films. In Zombie's film, we see Loomis as a younger man tasked with treating a 10-year-old Michael Myers after the child has murdered a school bully and then, on Halloween night, his father, sister, and his sister's boyfriend. Zombie does what Carpenter did not--he shows us how Michael Myers became. And here's another contentious aspect of the new film. This trip back to Myers' childhood turned off a lot of Halloween fans, because as Carpenter showed brilliantly in the first film, it really doesn't matter how he becomes what he becomes. He just...is. He's pure evil, and there's no explanation needed beyond that. But in Zombie's film we end up sympathizing with the murderer because we see the household in which Michael Myers was raised. He grows up dirt poor, with a father (or step-father? That actually wasn't clear to me) who is a vile, hateful, abusive drunk, an older sister who shows nothing but contempt for her younger brother, a loving but utterly incapable mother who is trapped in an impossible situation, and a baby sister for whom Michael shows genuine affection. The home--if you want to call it that--is a collection of real-life horrors, and watching the interaction between father and son makes you wonder how a child in that situation even has a chance at normalcy. Watching it all play out, you know exactly what is going to happen to these characters on Halloween night, and frankly you don't mind watching it happen. There's my biggest problem with the flick. In the original, Myers murders his sister for no reason whatsoever. He does it because, even as a child, he is the embodiment of evil--that is the horror movie monster John Carpenter created. Here, though, we see that Myers is a perfect storm of both internal and external forces pushing him towards his eventual mania. While I'm not big on this aspect of the film, I have to admit that I found the next part of the film quite interesting. We see Loomis working with young Michael in a psych ward and we see that Loomis cares deeply for this lost child who claims to have no recollection of Halloween night. The relationship--which is hinted at in the early films--becomes evident here. At the beginning, Loomis connects with Michael. After a while though, Myers descends into his own madness and completely detaches from the world, and from Loomis. After 15 years of an unresponsive patient, Loomis gives up and walks out on a now-grown Myers and goes off to sell his book on his most famous patient. From there, the film dives into expected territory--Myers, who develops into a hulking 7-foot monster--escapes on Halloween night, yadda yadda yadda. We all know that part, and the last third of the movie (introduced by a blackly comedic title screen that reads, "Trick or Treat") falls into typical slasher movie mode with some genuine jump moments and some cliched horror film violence. This Michael Myers, though, is scarier than previous incarnations. Maybe not psychologically scarier--nothing beats the creeping, supernaturally suggested terror of the first film--but certainly this Myers (played by the enormous Tyler Mane) is physically more imposing. The Myers of the original Halloween has become very much like a Universal Studios monster of a time now past. Spooky, yes. Keep you up at night scary? not so much anymore. On the other hand, Mane's Michael Myers is huge, and strong, and believable when he breaks through a door. I've heard that the sequel to Zombie's Halloween portrays Myers as more of a supernatural killing machine as opposed to just a very large, disturbed man who is capable of lots of damage. That's unfortunate, because Myers works incredibly well in this film. Overall, I enjoyed the remake. I liked Loomis, but I didn't like the new depiction of Laurie Strode--Jamie Lee owns that role, and her turn as a self-assured, intelligent, capable young woman is certainly preferable to the horror movie screamer we get in this new film. On that note, there's also way too many "naked and bloody girl crawling away from Michael Myers" shots in Zombie's film--it's as if the director can't help himself. He has to show the violence from beginning to end. Even when the scarier route is to close the door and let the viewer's imagination run wild with what might be happening behind that closed door, Zombie still takes you inside the house and makes you watch everything. However, it is also clear that there are scenes in this film that Zombie has had in his head for a very long time, and they are effective and brilliantly shot. There's one in particular that was especially striking. After Laurie and the kids sprint up the stairs, the front door closes slowly and creakily. Because I was so focused on that door shutting and what that symbolized, I didn't notice Michael Myers standing in the corner, behind the door. When he appeared there, I jumped. It was an iconic shot of an iconic horror character. And since this review has gone on long enough, I'll leave it on that positive note. And I'll wrap things up by saying that I liked this film. However, unlike the original, I will not revisit Zombie's Hadonfield each year when the leaves turn colors. 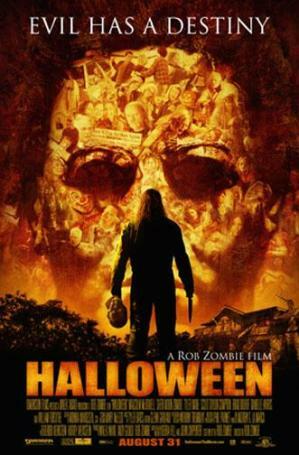 If it's on TV I'll watch it; but I won't set my October clock to it as I do with Carpenter's Halloween. All in all, though, I enjoyed the film and I was more than pleasantly surprised with the final product.